Moving to Singapore - Compare International Movers & Save up to 70% ! Moving to or from Singapore is a big step. Intlmovers can help you arrange a smooth move from or to Singapore. By making just a single request on intlmovers, you can get up to 6 removal quotes. You can then easily compare prices from those removal quotes. Save money and time! The stress for your removal can be released by making one request on Intlmovers. Professional removal companies will contact you by offering their quotes in a few days. You don’t need to worry at all about your move.. Complete the easy request form and receive quotes directly for international moves to Singapore. 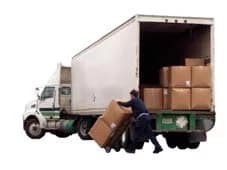 If you are looking for international movers from Singapore, then with the help of Intlmovers you can easily request quotes. It is quick and simple to find international moving companies who specialize in moves to and from Singapore. 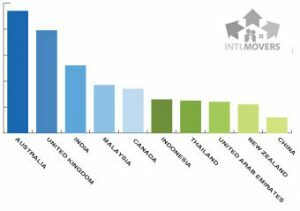 The international movers from Singapore can help you with international moves to almost every country in the world. They can help you move overseas by shipping your belongings to your next destination. Singapore offers a beautiful living environment, a luxurious lifestyle for people to live and to work. Besides that, it is handy to know some background information for people who want to work and live in Singapore. An employment pass, which equals to work permits or work visas in other countries, is required to work legally in Singapore. The requirement for applying for a work permit is made straightforward by the Singapore government. You must provide your skills, qualification, working experience and personality that meet the criteria. An online system has recently been launched by the Ministry of Manpower (MOM) so that the process and waiting times are now faster than before. Healthcare is affordable in Singapore with a high standard, no matter whether you have insurance or not. Even if you are not a citizen of Singapore, the price of healthcare is still reasonable. People can choose from 13 private hospitals, 18 outpatient polyclinics and 10 public hospitals in Singapore. Over 2000 private medical practitioner clinics can be found in Singapore as well. A list of recommended doctors and clinics can be obtained when you have insurance in Singapore. Singapore has four official languages: English, Malay, Chinese (Mandarin) and Tamil. English is regarded as the main language of administration, and more frequently used in the professional and the academic world in Singapore. English is also used as an important language for international business in Singapore. Expats may hear ”Singlish” when they are in Singapore, which is a combination of English words and Chinese grammar. Finding a good moving company is very important for your international move. With Intlmovers you can have up to 6 professional moving companies. You can get moving quotes for free by submitting an online request. By taking just a few minutes to submit your request on Intlmovers you can get quotes from up to 6 experienced international moving companies. Those companies will contact you by providing you with their quotes for free. You can compare prices among those moving quotes and find the most suitable price.